It would be nice to meet up at the bird fair. It’s my 40th birthday on the Friday so I won’t be over until the Saturday so maybe we could meet up some time on Saturday afternoon or Sunday? I am afraid we can’t make the Saturday but went to the Pantanal and Alta Floresta in 2011, stayed with SouthWild at the Santa Teresa farm and on the houseboat in the Pantanal and at Cristalino in Alta Floresta – there will have been a few changes since then but both lodges would be worth considering, they are at any rate very well placed. Our guide in the Pantanal, Beneddito Freitas, was excellent – you can find him on Facebook under ‘Beneddito Freitas Naturalist Guide’. 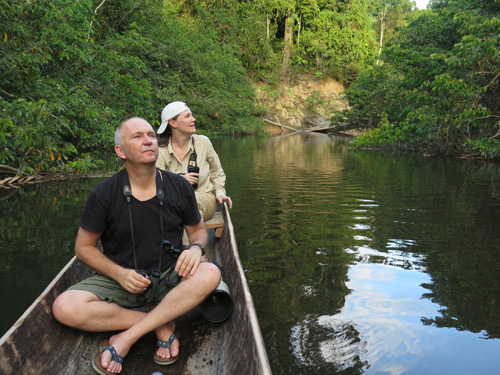 We had superb jaguar sightings when based on the SouthWild houseboat, which was very well situated and jaguar, giant otters, hyacinth macaws, jabiru stork, agami heron, tegu, tapir, crab-eating fox etc. around the farm, a fellow guest saw an ocelot. White-whiskered spider monkey is a speciality at Cristalino. I am intending to avoid south wild properties actually. Planning to go with the same guide I used last time and he refuses to have anything to do with that company. Is anyone else going to be at Bird fair? 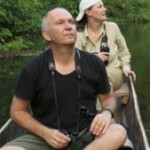 Ah, I did not realise you had been to the Pantanal before and already had a guide in mind. You are probably aware that there is a certain amount of professional rivalry among lodges and guides in the area, which has led to all sorts of rumours and allegations. I heard the whole story from 2 or 3 sources and am sorry to hear it’s still dragging on. After my own experience at SouthWild I wouldn’t stay anywhere else! It was few years ago but I notice they still get great reviews for their wildlife watching. But no doubt there are plenty of alternatives. Have a great trip and let us know all about it when you get back! Hi Jo. I won’t be there this year. But I had a lot of fun last year, though I left with a long and very and expensive wish list of trips to take. So beware!